Vegetable Rava Upma is famous traditional breakfast dish of South India.It is so healthy and delicious and very easy to make in very less time.There are many varaities of upma are made like Oats upma,Bread upma,Idli upma or Brown rice upma.But most common and basic upma recipe is Rava Upma or Vegetable Rava Upma,the difference between rava upma or vegetable rava upma is only of vegetables which makes it more healthy and nutritious.Vegetable Rava Upma recipe is perfect for breakfast as well as for tea time snack.The best thing which I like about upma is light on stomach and easy to digest. 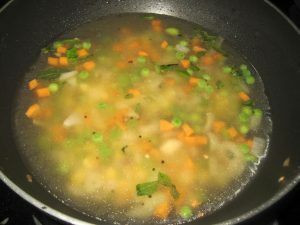 In Vegetable Rava Upma recipe I used roasted rava,pure ghee or you can used oil,vegetables, cashew-nut(optional),salt and water,you can also used tomatoes, paneer if you like. Here is simple step by step recipe for beginners. 1.Heat a pan or a wok,dry roast rava on slow flame till golden brown. 2.Transfer the roasted rava in a plate and keep aside. 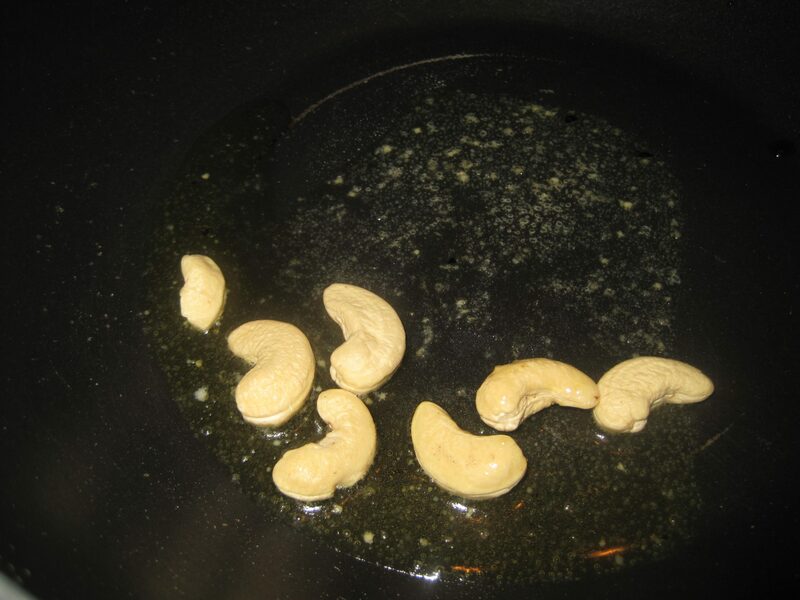 3.In a same pan heat pure ghee, add fry cashew-nuts and keep aside. 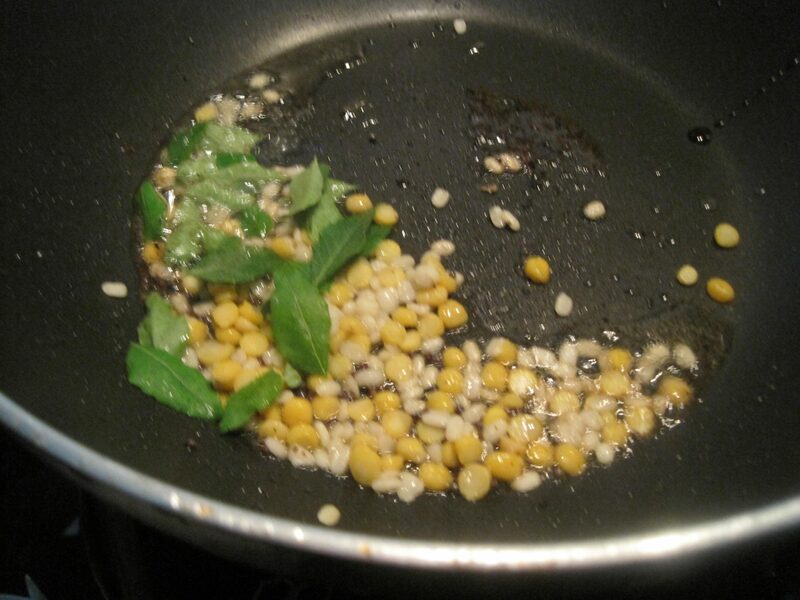 4.Now add mustard seeds in leftover ghee, when it crackle add channa dal, urad dal and curry leaves, fry a bit. 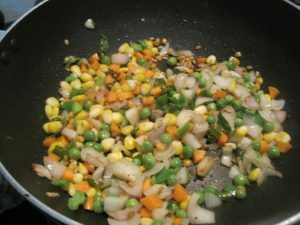 5.Add chopped onions, saute till translucent. 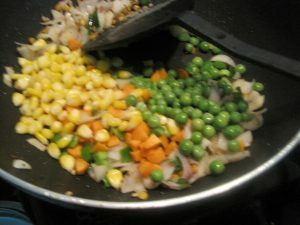 6.Add boiled corns,chopped carrots, capsicum and peas, saute it for few minutes. 7.Add 3 cups of water and salt, let it comes to boil. 8.When water comes to boil, add roasted rava carefully and stir continuously. 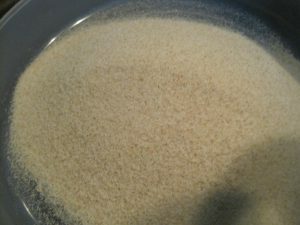 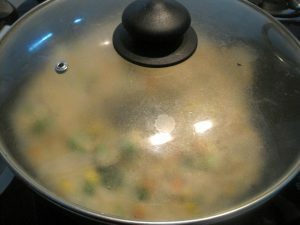 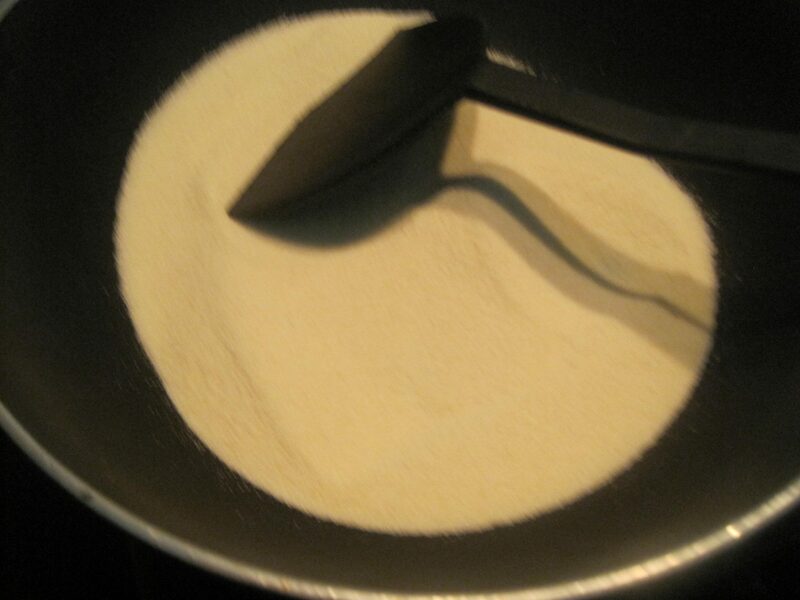 9.Quickly stir and mix well, rava grains absorbs water and thus swell and get cooked. 10.Cover and allow rava upma to steam for 2-3 minutes on slow flame. 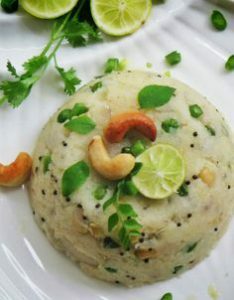 11.Switch off the flame,add fried cashew-nuts,mix well and Vegetable Rava Upma is ready to serve. 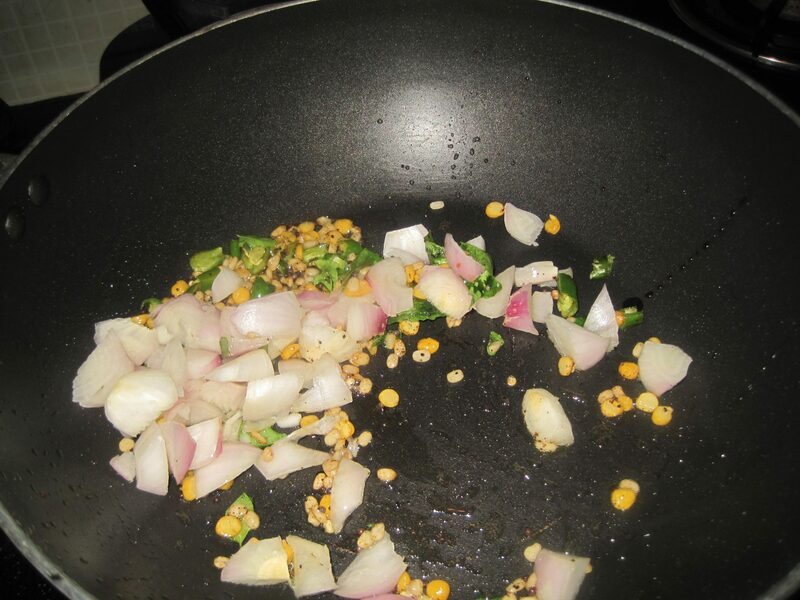 12.Serve hot in a plate, add lemon juice and garnish with coriander leaves and cashew-nuts. 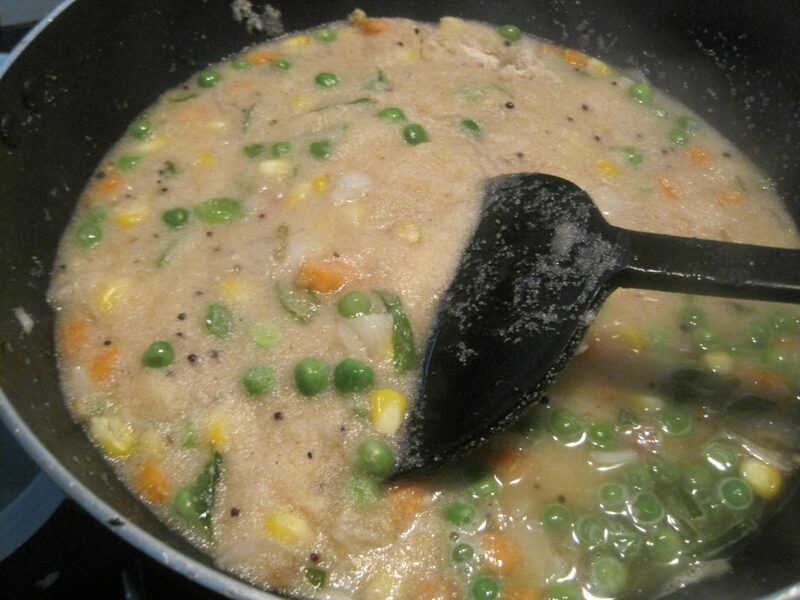 Enjoy your Vegetable Rava Upma.